Aiming to transform the lives of students who might otherwise not have access to higher education, the Tamar Engineering Fund was established through the generosity of alumnus Stephen Ball, now CEO of Lockheed Martin UK. In order to meet its growth aspirations, it has been forecast that British industry needs 100,000 new graduates in science, technology, engineering and mathematics every year until 2020. With the higher education sector currently producing less than 90,000 graduates per year, there is currently a significant shortfall in UK talent. 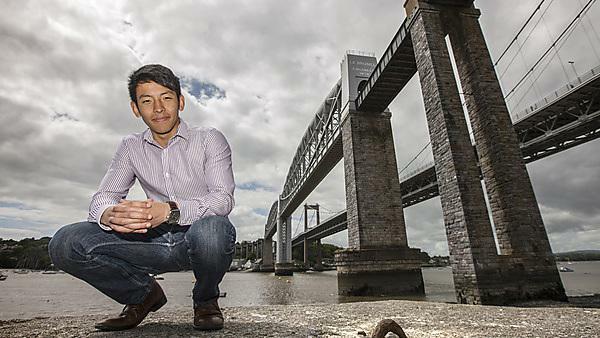 The Tamar Engineering Fund provides annual financial awards to help students whose background or circumstances might otherwise be a barrier to higher education. Students who qualify will be awarded between £1,500 and £10,000 for every year of study, and in addition they will benefit directly from Stephen Ball’s influence through his time, experience and extensive network in the world of engineering.